Overcurrent Circuit protection would be unnecessary if overloads and short circuits could be eliminated. Unfortunately, overloads and short circuits do occur. To protect a circuit against these currents, a protective device must determine when a fault condition develops and automatically disconnect the electrical equipment from the voltage source. short circuits and respond in the proper way. Slight overcurrents can be allowed to continue for some period of time, but as the current magnitude increases, the protection device must open faster. Short circuits must be interrupted instantly. Several devices are available to accomplish this. Non time-Delay Fuse Non time-delay fuses provide excellent short circuit protection. When an overcurrent occurs, heat builds up rapidly in the fuse. Non time-delay fuses usually hold 500% of their rating for approximately one-fourth second, after which the current carrying element melts. 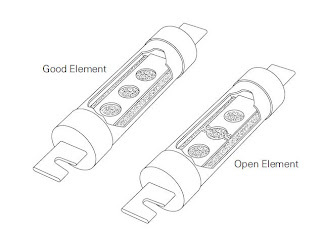 This means that these fuses cannot be used in motor circuits which often have inrush currents greater than 500%. Time-Delay Fuses Time-delay fuses provide overload and short circuit protection. Time-delay fuses usually allow five times the rated current for up to ten seconds to allow motors to start. The National Electrical Code defines a circuit breaker as a device designed to open and close a circuit by no automatic means, and to open the circuit automatically on a predetermined overcurrent without damage to itself when properly applied within its rating. Circuit breakers provide a manual means of energizing and de-energizing a circuit. 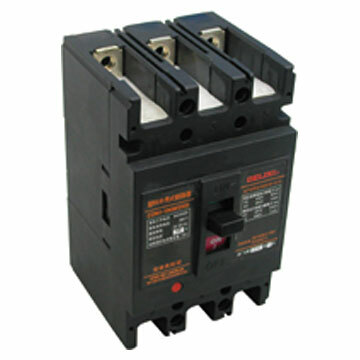 In addition, circuit breakers provide automatic overcurrent protection of a circuit. A circuit breaker allows a circuit to be reactivated quickly after a short circuit or overload is cleared. Unlike fuses which must be replaced when they open, a simple flip of the breaker’s handle restores the circuit. • SENSE when an overcurrent occurs. • MEASURE the amount of overcurrent. • ACT by tripping the circuit breaker in a time frame necessary to prevent damage to itself and the associated load cables.